Well, this is a welcome turn up for the books! Skybound Games and Beamdog have today confirmed that classic Dungeons & Dragons CRPGs of yesteryear will arrive on console platforms (read: PS4) later this year. 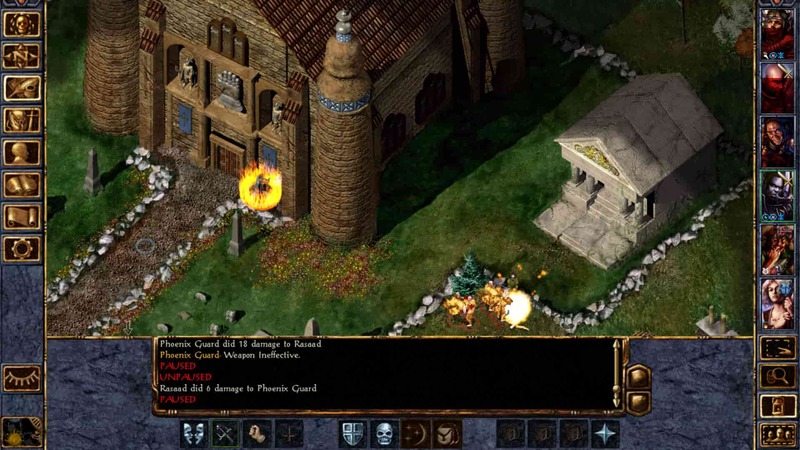 This will mark the first time that the likes of Baldur’s Gate, Icewind Dale and Neverwinter Nights have been ported to console platforms. Now, before you start thinking about how the Baldur’s Gate: Dark Alliance games were on the PS2 many years ago, it’s important to remember that those discount takes on Diablo were a world away from the hundreds of hours of deep, story-driven adventuring that the core PC Baldur’s Gate franchise offered when those games originally released at the end of the 1990s. 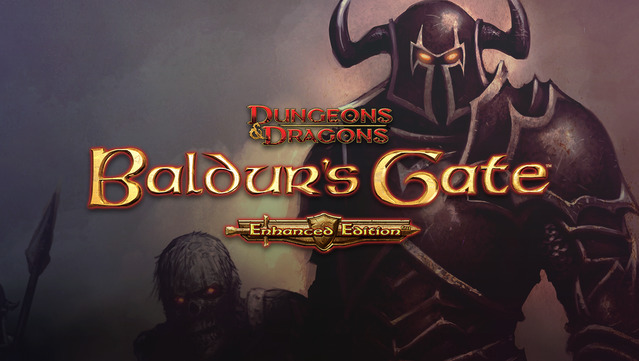 Baldur’s Gate is a legendary CRPG and arguably the progenitor of titles such as Dragon Age and Mass Effect. Originally developed by Black Isle Studios (whom would later break off into InXile Entertainment and Obsidian Entertainment, among other developers) and Bioware (they of Dragon Age, Mass Effect and most recently, Anthem fame), these games were legendary in their time and would later be ported in enhanced form to PC, Mac, Android and iOS devices just a few years ago. With enhanced visuals, added content and reworked user interfaces, it is these versions of those games that Beamdog, through the publishing arm of Skybound Games, will be releasing on PS4 sometime later this year. Set to be available in both digital and physical form, Baldur’s Gate, Baldur’s Gate II, Baldur’s Gate: The Siege of Dragonspear, Icewind Dale, Neverwinter Nights and Planescape: Torment will be on display in the Skybound Games booth at PAX East in Boston from March 28th to March 31st, too. 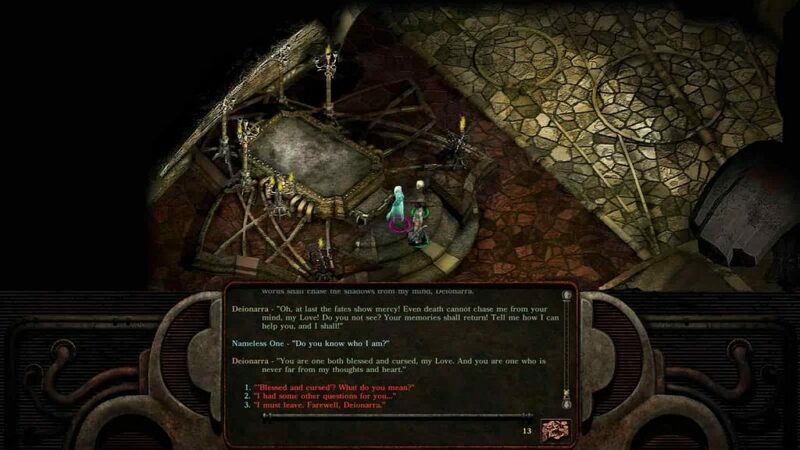 Planescape: Torment is widely regarded as one of the best and most well-written RPGs of all-time. With the likes of Pillars of Eternity, Wasteland 2 and Torment: Tides of Numenera all doing a sterling job of resurrecting that classic style of RPG fare, having the games that served as the classical inspiration for those titles available on PS4, is arguably something to look forward to indeed. The revelation that these classic D&D CRPGs making their way to PS4 ironically comes hot on the heels of the news that Bioware’s fantasy martial arts epic from 2005, Jade Empire, might be having a resurgence of its own – if a newly filed trademark is to be believed. As soon as we know more, we’ll be sure to let you know. I’ll be all over this like a kid on cake.